Commerce stream is quite a popular choice of study in India, as it provides a wide arena of career options, providing the students both success and financial security. However, a student interested in studying commerce stream needs to have a certain aptitude for the subject to be completely successful in it. Set your commerce career on the proper track by selecting a top college. Commerce colleges in Bangalore have come up to the fore in recent years successfully on numerous parameters, gaining recognition at the national and international levels. This has conjointly been complemented by the unparalleled rise in takers for commerce courses over science. Listed are the best colleges for Commerce studies in Bangalore city. SRN Adarsh College in Bangalore is one of the prestigious colleges providing Commerce education to the aspirants. It offers commerce courses both at the graduate and postgraduate levels. Providing programmes with different specializations, the college prepares the students for a career in many areas related to commerce. Degree in commerce provided by the college focuses to imbibe theoretical substance to the core areas of business and thus helps the students to develop analytical and decision-making skills. Students have choices for specialization in Finance; Marketing; Human Resources; Banking and Insurance; Accounting and Taxation; and Information Technology. Christ University was founded in 1969 in Bangalore. It is one of the top-ranked commerce colleges in the city. In 2008, the college received the status of a deemed university. The college has been accredited by the National Assessment and Accreditation Council (NAAC) for its excellent pedagogy. Christ University is best-known for offering a variety of undergraduate and postgraduate programmes in different academic streams including Commerce. Christ University offers commerce programmes in different disciplines allowing students to opt in their interested field. St. Joseph's College, established in 1882 is one of the oldest and best commerce colleges in Bangalore. Its Department of Commerce is dedicated to delivering academic excellence in the realm of commerce studies and offers holistic education for the all-round development of the students. The college strives to provide quality education and proactively extends support to students who lack opportunities. Mount Carmel College is a women college in Bangalore, established in 1948. It is a premier educational institute for women’s education. This college provides commerce courses for undergraduate as well as for postgraduate levels. This college is considered as one of the best commerce colleges of India for the study of Commerce, Arts and Science. The institute offers three years full-time undergraduate B.Com course, helping students to learn the principles and practices of advanced accounting and the dynamics of management, together with marketing, banking, auditing, company law, secretarial practice and allied disciplines. 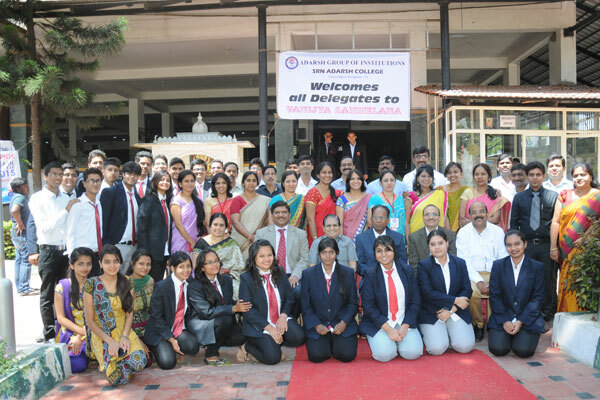 Established in 1966, Jyoti Nivas College is affiliated to Bangalore University. The institute provides courses in the stream of Arts, Science, and Commerce for undergraduate and postgraduate students. It has always been the prototype of constructive changes in academics to help students enrich their knowledge and enhance skills to meet the challenges of a quickly evolving world.